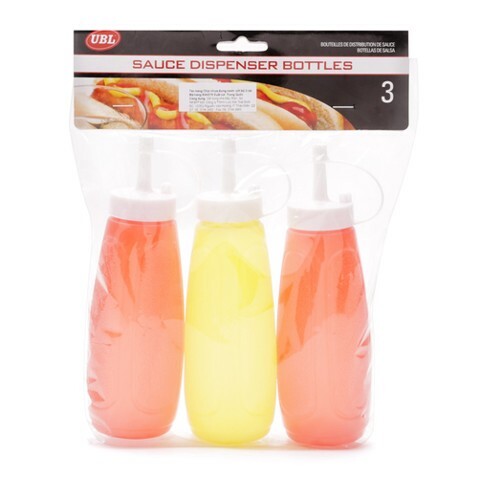 Sauce Bottle 3Pk. 18cm x 4.5cm Diameter Base. Two Red Sauce Bottles And One Yellow Mustard Bottle Per Pack. Each With White Lid. PP. 2.1 Packaging: Polybag with Header Card.